iStick Pico 21700 is a new TC box mod by Eleaf which inherits the same compact and ergonomic design of the iStick Pico series. It uses one single 21700 battery as power supply but is also compatible with a single 18650 battery. 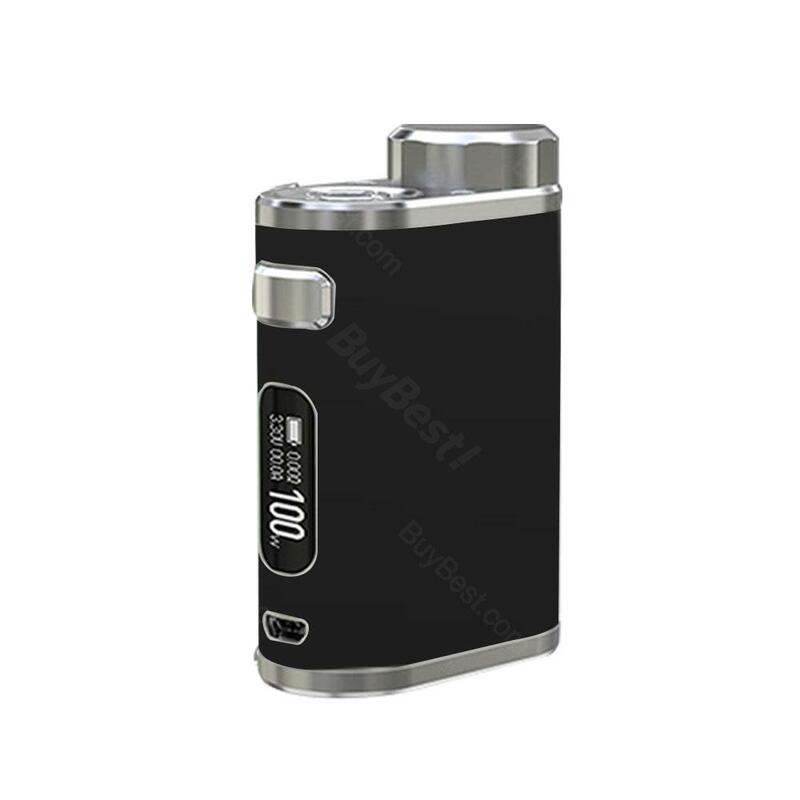 The 21700 Pico mod supports 100W maximum output power and various TC modes. It also features a big fire button, a 0.91-inch OLED screen and a micro USB for 2A fast charging and firmware upgrading. Eleaf iStick Pico 21700 TC box mod is the new member of the iStick Pico family, which inherits the same compact and ergonomic design of the predecessors. It uses one single 21700 battery as power supply but is also compatible with a single 18650 battery. The 21700 Pico mod supports 100W maximum output power and various TC modes. The iStick Pico 21700 also comes with a micro USB port for 2A fast charging and firmware upgrading. Together with a big fire button, a 0.91-inch OLED screen, and convenient top battery cap, the 100W 21700 iStick Pico is a no doubt a high performance TC box mod for all users. • NO battery included. Perfectly compatible with AVB 4000mAh 21700 Battery. You also can get other 21700/18650 batteries in BuyBest. Cheap in price and excellent in quality. Absolutely authentic eleaf product. I don't like big device, this pico mod fits me well. I can easily hide it in my hand and take puffs without drawing much attention. Picked this istick pico as my first mod due to excellent reviews and positive feedback. I love the neat design and quality. One 21700 battery is enough for me vaping a full day but you can also use your 18650 battery with the included 18650 battery sleeve, that's very thoughtful. USB charging is very convenient ,100w bring me many modes.During check out i have some questions,the customer service give me the detailed suggestion. I'll order more vape kit on BuyBest. It's comfortable to hold and carry,the Eleaf istick 21700 tc mod is a reasonable mod.Like it very much,best vaping experience. I usually vape at 60-80w, so this pico mod is perfect for me. Istick pico is my favorite series. Some of my vaping friends have this mod too. Highly recommended this. The site sells authentic vaping gear, I have checked with eleaf official website. I'd buy from this site again, for the reasonable price and quality product. It's very common to use this istick pico in my village. The mod charges quickly with several hours and it can be used for almost one month. Support istick pico. I like the 100w Eleaf TC mod with fast delivery and best package.Orginal Eleaf mod with high quality. Bought this mod together with two 21700 batteries. Really nice mod, fire up quickly. The TC is stable. Definitely my favorite mod. It feels sturdy and comfortable to hold. Vape is good. I highly recommend the istick pico if you are looking for a small high performance device from Eleaf. The eleaf product is very beautiful. eleaf often has colorful choices, that's why I like this brand vaping gear. Besides, it's an old and trusted brand. This is my fifth product from this brand.